You are here: Home / Be The Mom / Your Kid Is Not Like Every Other – and that is good! Your Kid Is Not Like Every Other – and that is good! I have been thinking a lot about my son lately. He just graduated from High School. It happened…just like that. I am remembering the little boy with the compassionate heart, the playful disposition and the thoughtful eyes fringed by bangs who has always captivated my female heart with constant busyness and curiosity. As a little guy he would toddle over to the front door and with his tiny open hand he would slap the door over and over wistfully exclaiming, “ou-side, ou-side, ou-side” all the while grinning broadly, with that mischievous twinkle in his soft green eyes. Oh the hours spent “ou-side” playing, pointing, riding, climbing, splashing, squirting, drawing, digging, blowing, running, rolling, chasing, raking, sliding, planting, pulling, giggling, walking, pushing, camping, hiking, throwing, talking, tossing, running, laughing…memory making. Such a spirit of adventure. Ou-side, where he thrives. This mom made the decision early on that if this is how God made the little man in my life and if this is where he thrives, who am I to thwart God’s masterpiece that is my son. So ou-side and adventure it has been. Oh, he does the inside, but when the inside attempted to crush or cast doubt on how he was fearfully and wonderfully made, we countered with “do your best” and continued to provide opportunity for ou-side. Facing the inside challenges and adversity grew his character and humility, but it did not leave him feeling defeated. Perceptive, involved parenting is wise and necessary. 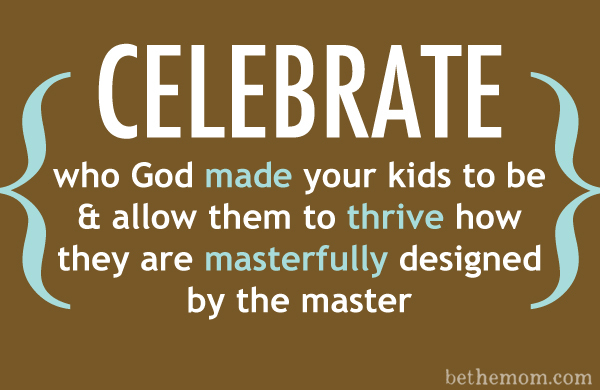 Mom…you are obviously reading this, so God obviously wanted you to…let this “old mom” of two grown children encourage you…celebrate who God made your kids to be and allow them to thrive how they are masterfully designed by the master. God has a plan and a purpose for the life of your child and God entrusted your child to you, knowing you would study your little one and see, really see, who He made your child to be. That mother heart that was designed to protect … use it, use your words, and actions to protect who your child is and allow your child to grow in confidence. This ou-side son of mine knows who he is, is confident in who God has designed him to be and his future is in God’s loving grasp. He plans to be ou-side most of his life, with a goal to be a police officer and a plan to get himself there by acquiring skills that will be helpful in such a position of service. Looking back…had his father and I not allowed him to be who God made him to be…I don’t think he would be headed where he is today. He would have been miserably stuck inside and far, far from thriving in who he was designed by God to be. Think about it, pray about it and ask God to reveal to you who your child is and then be brave enough, mama bear, to protect who your child is designed to become in God’s kingdom. If there is opposition…then it is all the more necessary for you to growl, protect and fight against the patterns of this world. Encouraging others for Him. Author/Speaker, Be The Mom & LifeWay's Beautiful Mess Bible Study. 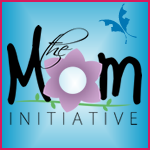 Creator of MomLifeToday & MomLifeBootCamp. Devoted wife & fun-loving mom of two, living the simple life on a farm in central Kentucky. So glad I finally stopped by. Just starting to get to know all the MOB writers. I’m their most recent T2, but realize how much I have to learn from you. Eager for that! Big blessings to you and yours!